Car accidents in West Palm Beach are a constant source of damage. This damage can be financial, vehicular, or even personal. Damage that you yourself have sustained due to the negligence of another driver is what we call personal injury. If you encounter a situation resulting in your injury, then you will want to call the best West Palm personal injury lawyer that you can find. But how do you find that law firm? Like most serious decisions in your life, you must to use your common sense. You should ask your friends and family for referrals. Look for client reviews. Speak to the lawyer. Trust your gut but do your homework. The hiring of a personal injury lawyer can ultimately be one of the most important decisions of your life. At the Wolfson Law Firm, our West Palm Beach personal injury lawyers are here to help you. Call us anytime at (855) 982-2067 for your free and completely confidential consultation. Get the answers you need so that you can get the justice and compensation that you deserve. The list goes on and on. And often the injury isn’t even the sum of what you may be dealing with. Your car may be in a tow lot. You may be unable to work, with mounting bills. The insurance company will be less than helpful - you want to get back to living your life, but they want to shift the blame and not have to pay anything. This may be the first car wreck or serious accident you have ever had, but all the same you have now been thrust into a world of uncaring bureaucracy. 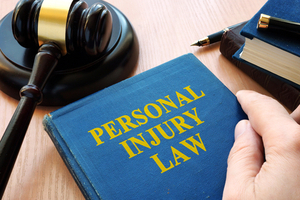 Your personal injury may be physical pain, emotional distress, or mental trauma. Anxiety, Post-Traumatic Stress Disorder, and Depression are common mental and emotional injuries that are all covered under the personal injury header. It’s a depressing fact that many families live paycheck to paycheck in this digital age. A major disruption of your ability to work can quickly lead to losing your job, your house, or more. Your car may be taking up space in a tow yard. The ambulance and emergency room bills aren’t going to just go away. With every disruption there is an associated cost. The first step to allaying these costs is to look at the source disruption. That’s where we come in. The West Palm Beach personal injury attorneys at Wolfson Law Firm are devoted to saving you from dealing with all of this. Insurance companies who handle hundreds of cases a week and come off as cold and callous. Tow yards that may attempt to rip you off for your damaged or wrecked car. Doctors and experts that may have a personal bias when dealing with your case as many insurance companies will use the same sources for all their claims in a certain area. This is information a jury should know, and many will overlook. Our number one goal is to get you back to baseline, living your life the way you want to. With our driving aspects of aggressive, compassionate, and professional handling of the specifics and “human factor” inherent in each case, we help in rebuilding your world, step by step. These driving qualities separate the Wolfson Law Firm from those other firms you may see advertisements for on benches, billboards, and walls. We don’t make unrealistic guarantees, but we can make promise you that we will manage your case with compassion and professionalism. We pride ourselves in our customer service. So, if you, a family member, or a friend have suffered personal injury due to the negligence of another driver or have questions and want legal counsel on any of the information presented above, contact West Palm Beach personal injury attorneys at the Wolfson Law Firm today at (855)-982-2067.